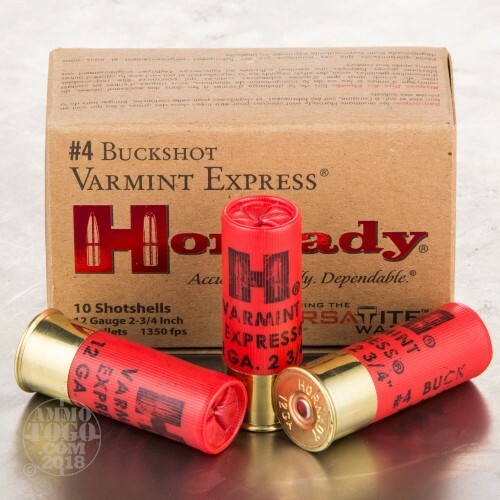 This is 12 Ga. Hornady Varmint Express #4 Buckshot. 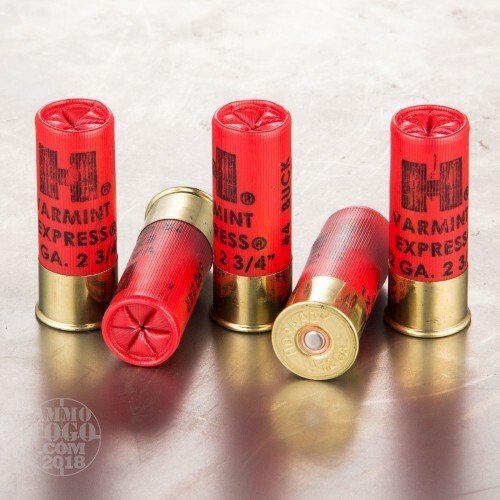 It's specially loaded to ensure proper and reliable functioning in semi-auto and pump shotguns. 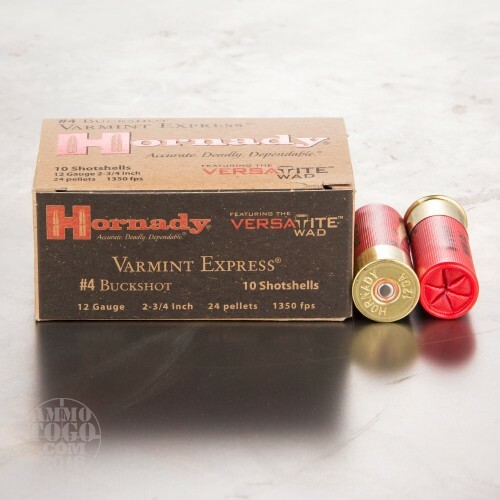 Hornady's Versatite™ wad technology delivers tight patterns and consistant performance every single time without modification to your gun. Packed in 10rd. boxes. Firing from my Rem. 11-87, pattern was fairly even but large in my opinion for a Flitecontrol product . Was hoping for a 12-15" pattern but it was nearly 3 ft . @ 25 yrds. 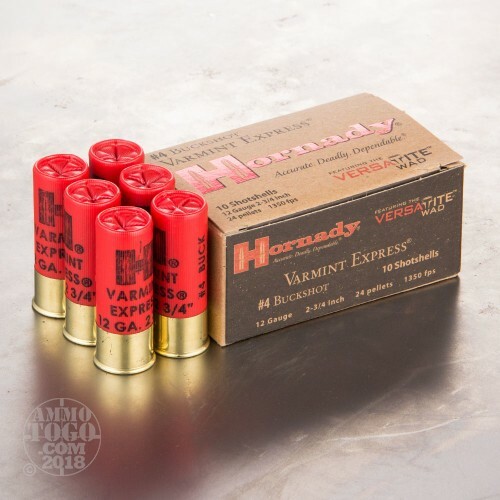 I'll stick with the Winchester Supreme's and a full choke .